Still loving real estate after 29 years! I am still loving real estate after 29 years, and I am here for you as your trusted consultant - I want to earn your trust. Whether this is your first experience buying or selling, or whether you have purchased and sold 10 homes; I will be there guiding you through every step of the way. Sometimes there will be bumps in the road, but together through my skill, knowledge and our communication we can handle just about anything that may arise during our journey to a happy settlement. I can tell you a lot about me, more than you may ever want to know, so I have decided to let my wonderful clients tell you. 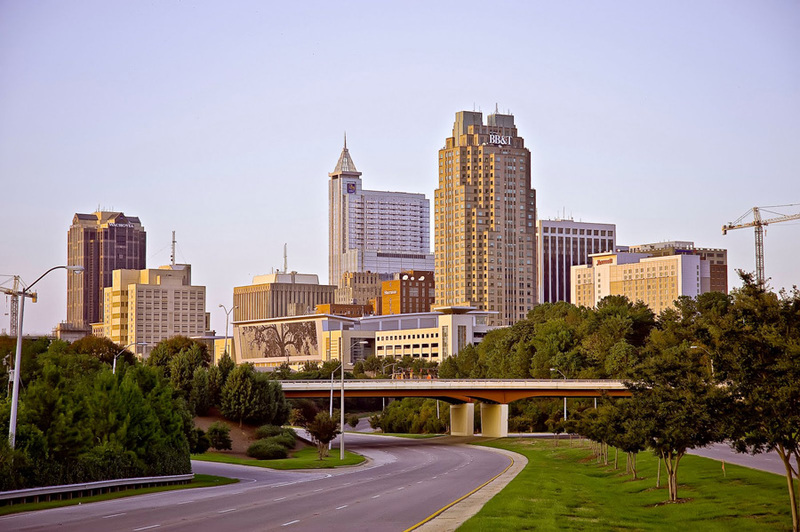 I will tell you however that I have been in Raleigh since 1987, a southern girl who will treat you with Southern Charm and the respect you deserve! My clients always come first! As a relationship Realtor, I try to maintain contact with all my "new friends" by hosting CindyFest in the Fall. There we just eat bar-b-que, enjoy music and hang out and have a good time. Buying or selling real estate can be a very stressful process, but rest assured that I will provide exceptional, personal service to make the process as stress-free and fun as possible. You can rely on me… and we are going to laugh a little along the way. My main priority is you!!!! When I am not working, I enjoy yoga and water aerobics classes, dance, and spending quality time with my husband, family and friends. I love animals too, especially my cats Samantha and Sabrina! Buying a home can be difficult. It can be even more difficult when you are buying in a new city and state. This was not our experience thanks to our Realtor Cindy Fox who was referred to us by a colleague at work. She met with us and told us about the areas, she considered the lifestyle we wanted and gave us properties that we didn't even know met our needs. She let our opinions shine through and carefully took note of our subtle expressions of likes and dislikes. She always had our back and we felt safe knowing she was with us through the process. She found our new home after about 8 houses and it was just perfect for us. She pointed out the benefits of the area. She took care of everything from that point and all we had to do was show up for closing, sign some docs and get our keys. Then we went out for a celebration dinner! We lived in our home for about 2 years before we started looking for something bigger ( settled into our jobs and the area). We would call Cindy randomly about properties we saw that we were interested in and she would promptly get us in to see the properties. We decided to hold off as there were some likely changes to our work situation. We decided to move to another state. Again we reached out for our Cindy who was just like a superhero when you were in distress (ready to help). She came by the house so we could plan the sale. She found us contractors to do small repairs, paint and carpet. She inspected their work for us as we were out of the area and couldn't break free. She even helped pick out the carpet on our behalf. It all worked because within 7 days on the market we had not one but two offers. We closed less than 20 days later. She even sourced a new realtor for us in our new state! Cindy truly lives and breathes great service. She makes your home buying or selling experience less of a transaction and more like a friend or family member invested in your happiness and well being. I usually don't write reviews but when great people exist in the world like Cindy , i feel obligated to let others know about her so they too can experience what Excellent service is like. If we ever move back to the area we've got her on speed dial! Cindy is hands down the best realtor I have ever known. She has the energy, the skills, and the depth of knowledge to make your home buying or selling experience the best it can be. When we moved to Raleigh 3 years ago she found us a house in the area that we were looking, with the features we wanted, in the price range we requested, in record time! 2 years later we listed that house with her and we took her advice on prepping the house for sale, we staged it, and it sold for asking price in less than 2 weeks in a multiple bid scenario. She is the absolute best and you will not be unhappy by buying a house from or listing a house with her. Period. Cindy Fox and her team were fantastic to work with. She did real time market research and was able to sell our home on the first day of the listing. Her ownership of the sales process was impressive, from assisting us with staging to ensuring everything was ready at the closing - could not ask for more from a realtor, highly recommended! Cindy and her team were amazing. They guided me through the difficult process of working with a relocation company with extraordinary service throughout the entire process. I would (and have already) recommend her to friends, family, and even strangers. She went above and beyond what a normal agent would do and I could not have sold my house without her superior customer service. If you are looking for the best agent in raleigh, look no further than Cindy Fox and her team, shot out to Jenny!!! Cindy is exceptional in all aspects of her profession. She is enthusiastic about her work and adapts well to every situation including changing client requirements day in and day out. Not only is Cindy terrific during the marketing, staging and showing aspect of the job, she ensures that she is available after closing. We had just moved from Canada to the US and relied on Cindy for advise on everything including schools and service professionals. Cindy is so dedicated that she stayed at our empty house for the day upon closure and oversaw the carpet cleaners, etc. since we were still up in Canada doing that closing. Cindy goes 'beyond the call of duty'. I have now used Cindy Fox on the purchase of two homes in the triangle. Cindy was so helpful when we relocated to NC from Michigan. Without her expertise, I am not sure if we would have found just the right home. We found a second home with Cindy's guidance and I would not consider making a move without her. She is the best and I always refer anyone considering buying or selling to Cindy. She is simply the best.